May | 2018 | Mike Lamberti, From Margate To Cleveland, And Back ! Always with a flair for the dramatic. 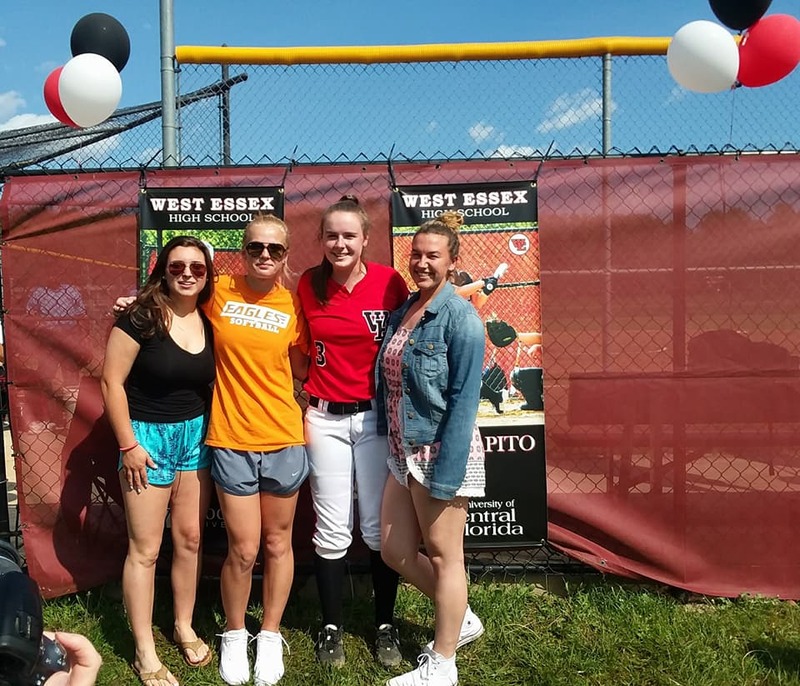 West Essex’s senior team captain, Lily James, made the final play of her high school career memorable. James’ West Essex team had rallied from a 7-3 deficit in the seventh inning, at Livingston, on May 24, to take a 10-7 lead by the top of the eighth, in a Super Essex Conference American Division matchup. Livingston had rallied back and cut the lead to 10-9. With runners on base, the next Lancers batter hit a looper that was sailing into foul territory. It looked like the ball would fall harmlessly into foul, but James had other ideas. She got a good jump on the ball from her shortstop position and hauled the ball in, behind the third base bag, for the final out of the game. Lily’s teammates would pour onto the field and mob their captain. And an emotional James took it all in, wiping away a few tears, but smiling a lot more. West Essex’s rally in the seventh to tie the game, 7-7, featured a big hit by James, who also scored a pair of runs. It looked like her final at-bat would be that single, but since the game went into extra innings, she got another chance at the plate in the eighth inning and reached safely again. Lily will be graduated shortly and plans to continue playing softball at Stockton College this fall. There, she’ll see a familiar face in Sami Huetter, who was James’ teammate for three years in North Caldwell. Huetter just completed her freshman season playing at Stockton. Another valuable senior on West Essex’s roster, Alexandra Apito, was outstanding in her final game, as well. She hit a huge double as the Knights rallied in the seventh, and finished 3-for-4 with three RBI. Apito will attend the University of Central Florida this fall. Apito and James were a part of some tremendous West Essex teams, which won a state sectional title and Essex County championship in 2016. The post-season recognition continues for Nutley’s Carly Anderson. 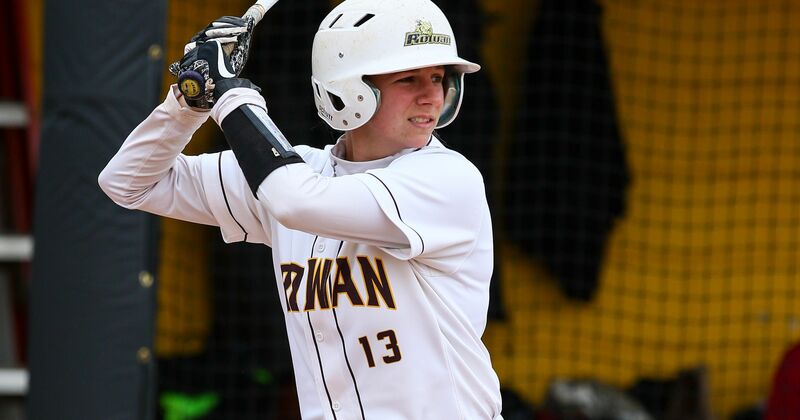 Just a few weeks after being named the New Jersey Athletic Conference’s (NJAC) Player of the Year in softball, Anderson, a junior at Rowan University, garnered two more tremendous accolades. She was first named the Most Outstanding Player when Rowan captured the NCAA Super Regional championship, on May 20. Two weeks earlier, Rowan had won the NJAC post-season tournament, defeating the College of New Jersey in the final. With Rowan winning the Super Regions, it earned a bid to the NCAA Championship Tournament, from May 24-29, at the USA Softball Hall of Fame Stadium in Oklahoma City, Oklahoma. The Profs were scheduled to play Illinois Wesleyan University, on May 24,.in its first game. If that wasn’t enough, Anderson was recently named a second team, National Fastpitch Coaches Association (NFCA) All-American. The NFCA All-America teams were announced at the NCAA Division III championship banquet last week. Anderson was eligible for All-American status after earning first team, NFCA East All-Region accolades. Heading into the championship tourney in Oklahoma City, Anderson led Rowan with a .500 batting average, 74 hits, 43 RBI, 18 doubles and a .736 slugging percentage. She also has five homers and 36 runs scored. Rowan entered the tournament with a 39-11-1 record. Anderson starred at Nutley High from 2012-2015. 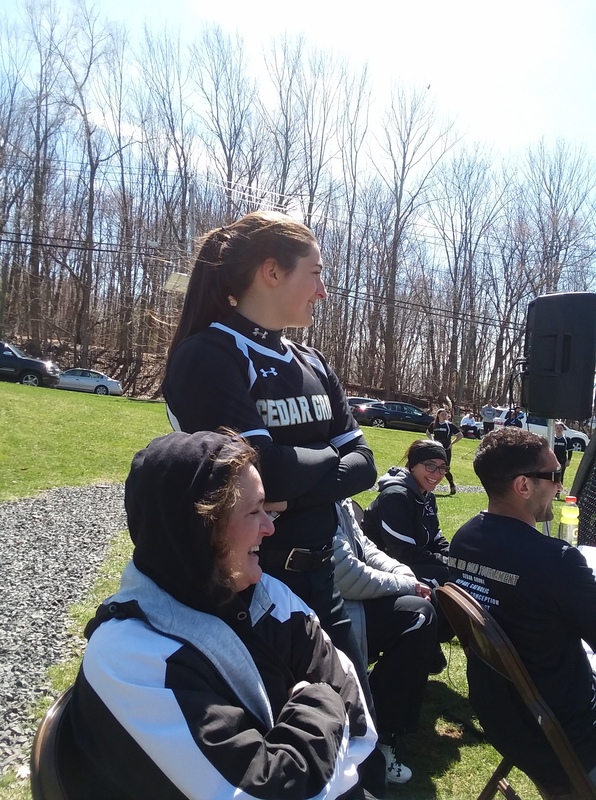 She guided the Raiders to a 24-8 record and state sectional championship in 2015, when Nutley defeated West Morris in an exciting championship game, 2-1. Anderson pitched a three-hitter in that championship game, striking out six and walking one. She also had two hits and scored a run. In addition to her softball talents, Anderson was also an integral part of some outstanding basketball teams at Nutley. The 2014-2015 Raiders won the North Jersey, Section 2, Group 3 championship. Anderson played in all 31 games that season and averaged a little over six points a game. When Livingston began play in the 2018 NJSIAA Tournament, Columbia coach Cliff Smith saw that the Lancers were seeded 13th in North 1, Group 4. “That guy”, of course, is the Lancers’ head coach, Jason Daily. 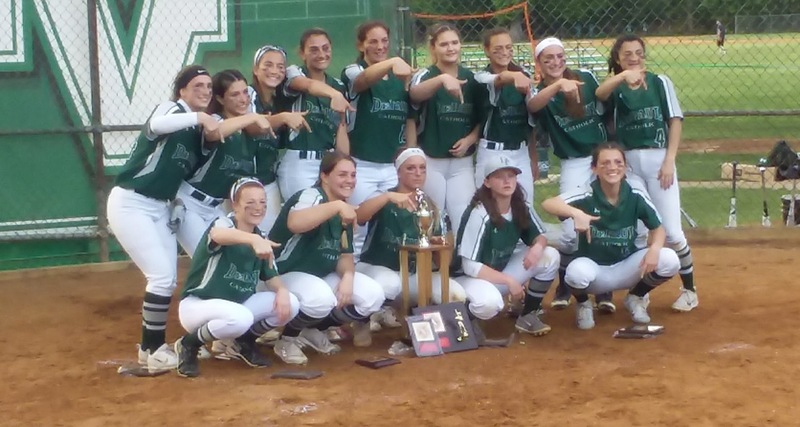 And to the surprise of almost no one who understands the game, Livingston finds itself playing for the North 1, Group 4 title, on May 29, at third seeded Mount Olive. Livingston put itself in position for a fourth state sectional crown in the last six years when it defeated top-seeded Fair Lawn, 6-4, on May 25, in Fair Lawn. The Lancers improved to 13-13 on the season. Under Daily, it has won sectional crowns in 2012, 2013 and 2016. The Big Green Machine (as I like to call them) got another tremendous performance from senior Jess Gorman, who is pitching similarly to the way Syd McCormack did in 2016, when Livingston last won the sectional title. Gorman’s batterymate, senior Emma Cooney, continues to be a hitting machine, as well as perhaps the best defensive catcher in Essex County. Another outstanding senior is shortstop Ashley Reuter, one of the team’s best all-around athletes. Ashley’s younger sister, Hailey Reuter, a freshman, has stepped in well at second base. Briana Melucci had two big hits in the win over Fair Lawn. The Livingston infield is solid, with Chloe Saperstein playing third, the Reuters are shortstop and second base and first baseman Sam Randis, who had a good day offensively against Fair Lawn. Saperstein could also be Livingston’s catcher in 2019. Good defense and timely ‘small-ball’ has defined Daily’s teams since he began as head coach in 2001. Daily generally low keys any accolades directed toward him, deflecting the praise to his players, but a lot of coaches know better. Nutley coach Luann Zullo has been competing against Daily for 18 years. Mia Faieta admitted she was a little tired. The smile on her face was evident, as she had just spun a no-hitter, with 12 strikeouts and two walks, but California Chrome knew she had been in a big-time battle against a strong team, on a hot afternoon. 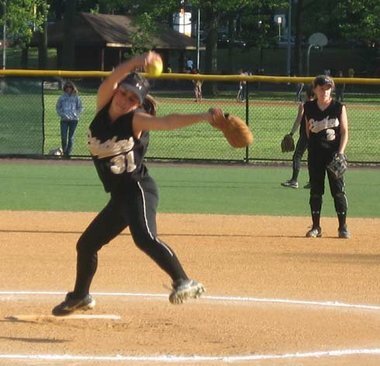 Faieta’s Cedar Grove team broke open a scoreless tie with three runs in the bottom of the sixth, and the Panthers went on to blank Midland Park in a North Jersey, Section 1, Group 1 semifinal, in Cedar Grove, 3-0. 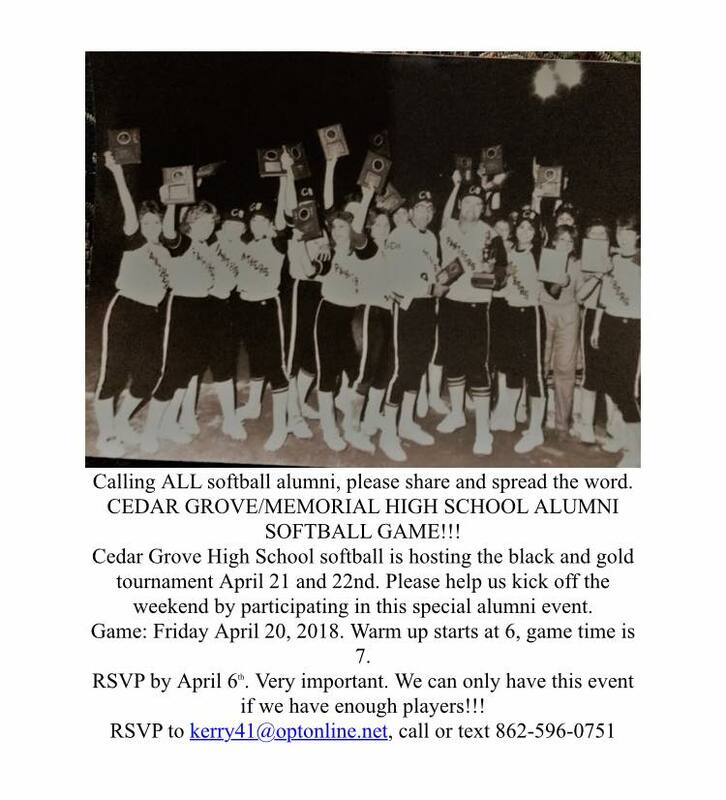 Cedar Grove (24-5), which won its tenth straight game, will seek a second straight sectional crown and third in the last four years when it plays Hasbrouck Heights for the title on May 29. In addition to pitching a no-hitter, Faieta also doubled home Jules Cicala, who had led off the bottom of the sixth with a classic opposite field triple, for the game’s first run. Brittany Taylor and Kelly Toomey would follow with run-scoring hits, which gave Cedar Grove more than it needed to win. Afterward, Faieta was happy with the win, but was quick to credit Midland Park. Faieta, whose game-winning RBI came on a 2-2 pitch, almost didn’t get a chance to bat in the bottom of the sixth. Faieta’s double was just Cedar Grove’s third hit of the game. Toomey would end the game with two hits and Ava Fernandez later singled in the sixth inning. Cedar Grove collected six hits, five of which came in the sixth inning. The great Anthony LaRezza once made what I like to call the “Memorial Day Speech”, back in 2010. 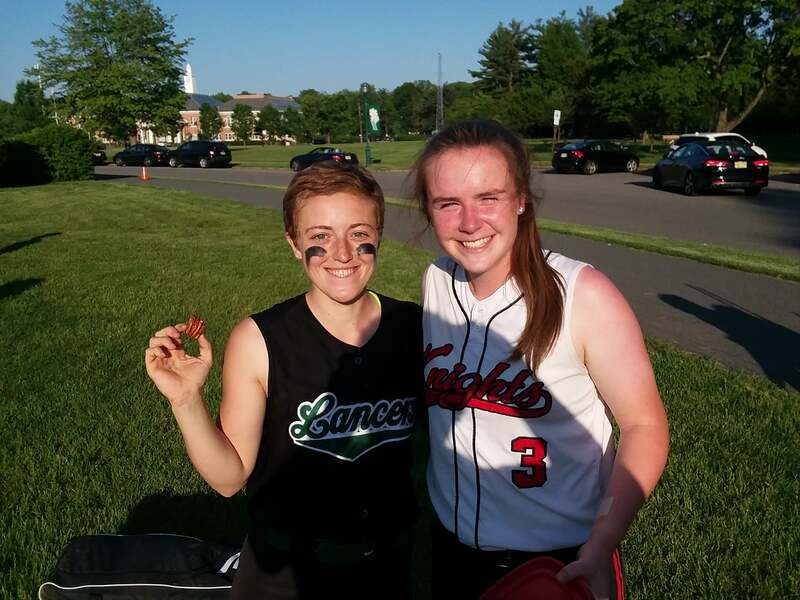 His message was simple, a high school softball team’s season could easily end before Memorial Day weekend, so taking any game ‘off’ could come back to play a factor in late May. As long as the winter season seems, the spring campaign flies by. And this year, with all the bad weather, makes it seem that much faster. So, here we are, with Memorial Day weekend approaching. The 41st Essex County Tournament is in the books, as the two best teams in the county met for the crown last weekend. The NJSIAA Tournament is underway. And while a loss in the state tourney essentially ends a team’s season, there are also some key SEC games that will decide conference championships over the next week. Among the Essex County teams that could make a deep run in the state tourney are Cedar Grove, the defending Group 1 champions, Mount St. Dominic, the 2014 Non-Public A champ who can play with anyone, with good pitching and some tremendous bats and Newark Academy, who is playing well and are motivated to win, in Non-Public B. Never count Livingston out in North 1, Group 4, as the Lancers won the 2016 crown and seem to playing its best softball of the season. Caldwell and Verona were scheduled to meet in a sectional quarterfinal, as were Millburn and Columbia, so two of those teams are assured of at least a semifinal berth this Friday. Speaking of Livingston, congratulations to seniors Emma Cooney and Ashley Reuter on collecting their 100th career hits. And to make it even more interesting, both players got the magical hit in the same game, and the same inning, as Livingston won at Bergen Tech, in the first round of the state tourney last week. Columbia and Caldwell played an exciting game last Friday, with the Cougars rallying from 2-1 down in the bottom of the seventh to edge the Chiefs, 3-2, Jordan Stephan, a senior, stepped up big, hitting the game-winning, 2-run single to plate the winning runs. Jordan’s younger sister, Alexa, was the on-deck batter and Jordan said afterward she didn’t want her sister to have to deal with winning the game. Columbia could win the conference title with another win over Caldwell, this Friday, but it won’t be easy. One of Essex County’s all-time best softball coaches, Carl Corino, was back in town for the ECT final and joined his former player and later assistant coach, at Belleville, Cheryl Marion afterward. Marion is now an assistant coach at Cedar Grove and Corino enjoyed a nice moment as Marion and the Panthers celebrated a hard-fought county championship over the defending champion, Mount St. Dominic. 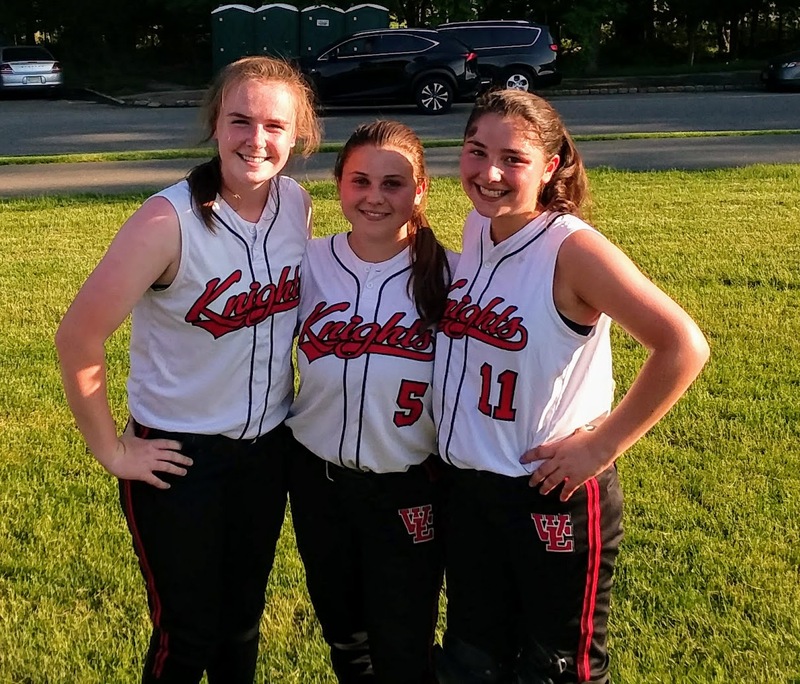 In the county final, Mia Faieta pitched an excellent game for the Panthers while Gianna Kubu drove in the game-winning run and Ava Fernandez continued her MVP-type season with some key hits, as well as scoring the winning run. It was Cedar Grove’s fifth county title and first in eight years. It was the first time the Panthers defeated the Lions in the ECT finals, in four tries. Faieta also joined her mom, Fran, as a county softball champ at Cedar Grove. The same is also true of Cedar Grove’s Chloe Weinstein, whose older sister, Briana and mother, Kim, were county champs for the Panthers. Briana was on the 2010 title team while Kim and Fran played on the 1984 Panthers. (See article for more info). 1-Cedar Grove (21-5): The Panthers won its first ECT crown in eight years and are the top seed in the state sectional, as coach Nicole Velardi’s team looks to repeat as state champions. Cedar Grove has won two of the past three Group 1 titles and a talented group of seniors hope to make it three state championships soon. Cedar Grove pitching had accounted for four straight shutouts, through May 21, and five in the last six games. 2-Mount St. Dominic (21-6) : The Lions will face a good Paramus Catholic squad in the first round of the state sectionals and, with a win, would most likely take on Immaculate Heart Academy, in the North Non-Public A semifinal, on May 29, at IHA. 3-Verona (10-12): The HIllbillies were slated to play at Caldwell in the state sectionals. The teams met early in the regular season, with Caldwell winning, 2-1. Verona has faced a tough schedule, however, and are always a challenge with Christina Colon pitching. 4-Newark Academy (9-9): This team has to be buoyed by a strong run in the ECT, as the Minutemen made it to the semifinals for the first time in six years. Head coach Sergio Rodriguez’s team is seeded second in the North, Non-Public B. 5-West Essex (8-12): The Knights have played well this season. They were eliminated from the NJSIAA tourney in 10 innings on May 21, and are hoping to win a few regular season games to conclude its year. Lily James is winding up a tremendous 4-year career in red, black and white. She’ll play at Stockton University this fall, reuniting with former teammate Sami Huetter. 6-Livingston (10-11): The Lancers are gearing for a run toward a second sectional title in the last three years and fourth in six years. 7-Columbia (15-7): Head coach Cliff Smith has the Cougars playing well, with an SEC Liberty Division crown within reach, as well as a possible run in the state sectionals. 8-Millburn (17-8): The Millers were scheduled to play Columbia in a sectional quarterfinal. The teams split two regular season games in the SEC Liberty Division. 9-Caldwell (15-6): Another solid season for this long time successful program. Caldwell was slated to host Verona in a sectional quarterfinal game and also hopes to hang another banner as a conference champion. 10-Nutley (10-12): Raiders were eliminated in state tournament, and while the 2018 campaign is pretty much concluded, there’s a lot of excitement, already, about how good this team could be over the next few years, with some talented freshmen set to join a good nucleus of returning players. Eight years before its current head coach was born, Cedar Grove and Belleville met in the 1984 Essex County Tournament softball championship. Belleville had won the previous two titles, impressively, and were a favorite to make it three straight, behind a talented senior battery of Dina DeAquino and Tracy Buono. In the early 80’s, Cedar Grove and Belleville were the top teams in Essex County softball. The Panthers had beaten an upstart Belleville team in the 1980 final, behind its stalwart pitcher, Laurel VanDerMay, the younger sister of head coach Ray VanDerMay. In 1982, Belleville would win its first title, defeating Livingston, and the following year, head coach Carl Corino’s team won a second straight crown, downing Bloomfield. And en route to the ’82 championship, Belleville defeated Cedar Grove in the ECT quarterfinals. Now, Cedar Grove and Belleville would meet in the 1984 final, and Cedar Grove pulled off what was then an upset, defeating the Bucs, 8-5. Among the players on the field that night, at Pulaski Park, in Bloomfield, were Francene Ricciardi of Cedar Grove and Belleville’s Cheryl Marion. Fast forward some 34 years and Marion (now Cheryl Marion Zenobi) is in her first year as an assistant coach to Nicole Velardi. Like Marion, Velardi also played softball at Belleville High. Meanwhile Ricciardi would marry Paul Faieta in 1999 in a royal wedding similar to last Saturday’s event in London (Kidding, somewhat, but the Plaza in NYC is a neat place). Over a year later, around Thanksgiving, the couple would welcome their first child, a daughter, named Mia. Last Sunday, Mia pitched a complete game, as Cedar Grove won its first county championship in eight years and fifth overall. And Fran, the softball junkie who played shortstop in 1984, can now join her daughter as a county champion from Cedar Grove High. (And it should be noted that before Mia discovered pitching, she was a shortstop in her younger days on the youth level). Gabby Castelli was a freshman in 2010 when Cedar Grove won its first county title in 26 years. Castelli also has a Belleville connection, as her father, Jim, was a standout athlete for the Bucs in the early 1980’s. They’re not the first mother-daughter to accomplish the ECT championship feat for the Panthers. One of Fran’s teammates on that 1984 team was the former Kim Fitzgerald. In 2010, Kim’s daughter, Briana Weinstein, starred on coach Rob Stern’s team, which won Cedar Grove’s first county championship since 1984, defeating West Essex, 2-0. Kim and Brianna were both second basemen for the Panthers. 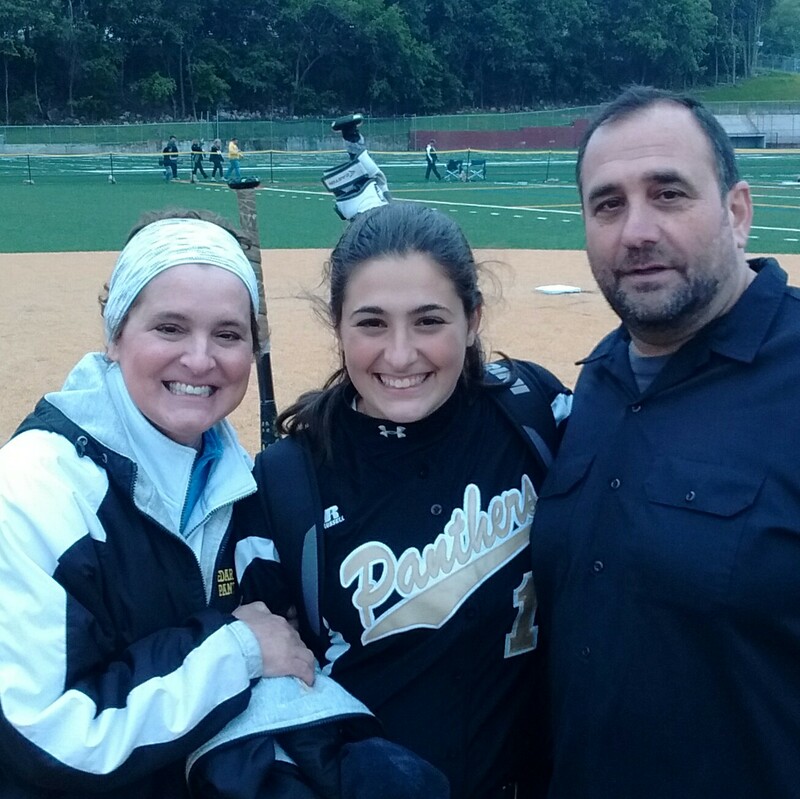 Mia Faieta, here with mom and dad after leading her team to a state sectional title in 2017. And now, another Weinstein, Kim’s daughter, Chloe Weinstein, a sophomore, is also playing well for the Panthers. Marion’s roots are also deep. As a player, she would be a part of two county champions at Belleville, in 1982 and 1983, and played in the championship game in 1984 and 1985. (Belleville lost the 1985 final to Livingston. All tolled, Belleville was in nine ECT finals in the 1980’s). 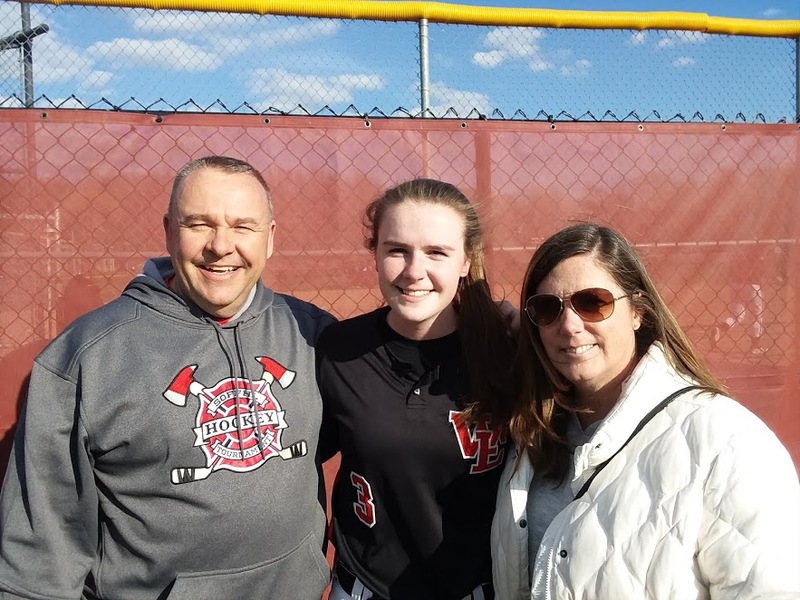 Four years after graduating high school, Cheryl returned to her alma mater as an educator and coach, and was an assistant to Corino, on the 1989 BHS team which defeated Livingston, 1-0, in 10 innings for the school’s last county title, to date, in softball. Nearly 30 years after that ’89 title, Marion was proudly holding a championship plaque, last Sunday at Ivy Hill Park. And who was standing next to her? Carl Corino. 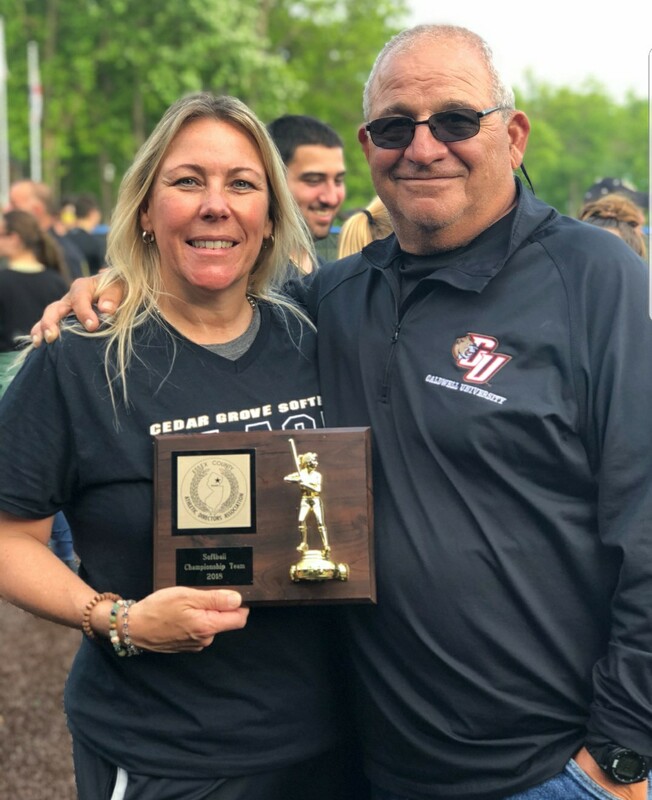 Cedar Grove assistant coach Cheryl Marion and her high school coach at Belleville, Carl Corino, after Cedar Grove won the 2018 championship on May 20, at Ivy Hill Park. (Courtesy of Cheryl Marion Zenobi. Click on photo for larger image). From Fitzgerald, to Weinstein, to Riccardi and Faieta, along with a Corino and Marion, the history of the Essex County Tournament is certainly a proud one. On a softball diamond in Little Falls, the present met the future, and while the more experienced team found a way to win, the upstarts made a statement of its own, as well. 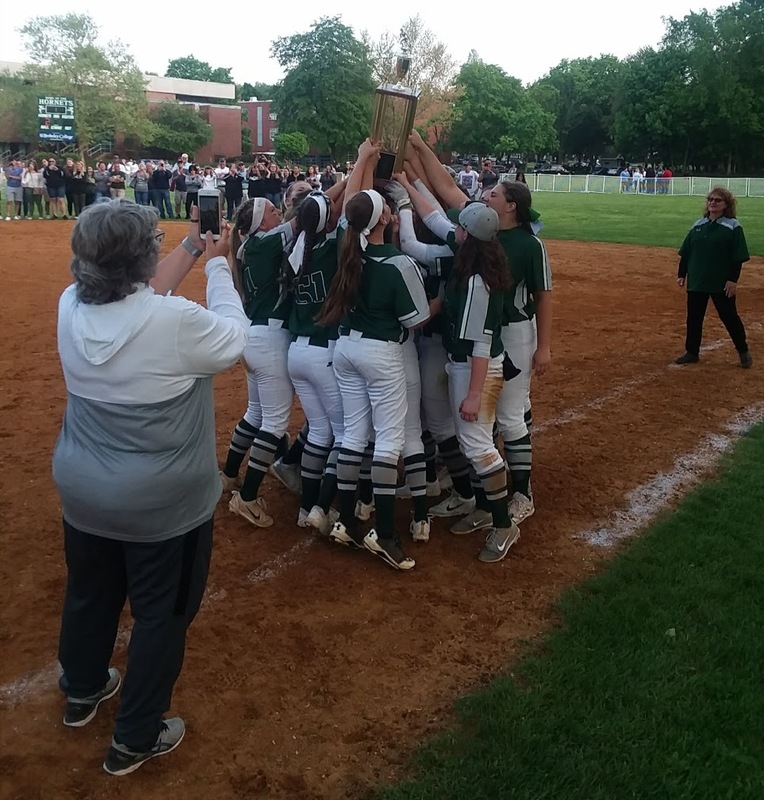 DePaul won its record seventh straight Passaic County Tournament championship in an exciting game, in Little Falls, 3-2, on May 14, but Passaic Valley’s young core showed it’s ready to not only contend for, but win the crown in the years to come. It was DePaul’s 12th county championship, also a record, while PV was looking for its first title in 30 years, when current head coach Kathy Hill (nee May) had paced the Hornets to back-to-back titles in 1987 and 1988. While PV’s youth made a statement with some exceptional at bats and good fielding plays, senior pitcher Alyssa Bernardo was also marvelous. She pitched a complete game, four hitter, got stronger as the game went on, didn’t walk a batter and also didn’t allow an earned run. The game was supposed to be played at Back Beach Park on the evening of May 14. But the field at Back Beach wasn’t going to be ready for play by game time, due to last weekend’s rain, so it looked like the game would be pushed back a few more days. Passaic Valley’s athletic director, Rob Carcich, offered his field for the championship game, since last Monday’s weather was beautiful, and scheduling a game later in the week, with the state tournament nearing and questionable weather coming up, could have been tenuous. If there was any trepidation about playing in a big game, the Hornets quickly dispelled that in the top of the first when Bernardo gave up a one-out single, but then got out of the frame when freshman shortstop Taylor Hill caught a line drive and threw back to first for a double play. The game was scoreless until the fourth, when DePaul scored twice. The Spartans added a run in the top of the sixth, but PV would answer with a rally as the home crowd roared its approval. With one out, Alex Ward hit a single, which was just the second hit off eventual winning pitcher Summer Ramundo. Rachel Sol had one of the game’s best at-bats, fouling off nine pitches before drawing a walk. Devyn DiPasquale singled to the load the bases and Shana Donnelly followed with a huge two-run single, cutting the deficit to 3-2. Ramundo would work out of further damage in the sixth, but in the seventh, PV would put the potential winning runs on base as Hill and Jada Rodriguez each singled with one out. But again, Ramundo, a senior, showed her mettle, by retiring the final two hitters to end the game. Passaic Valley (13-6) won’t have time to dwell on the setback. The Hornets are the third seed in the NJSIAA tournament, in North 1, Group 3, and will host Morris Hills, in the first round on May 17. 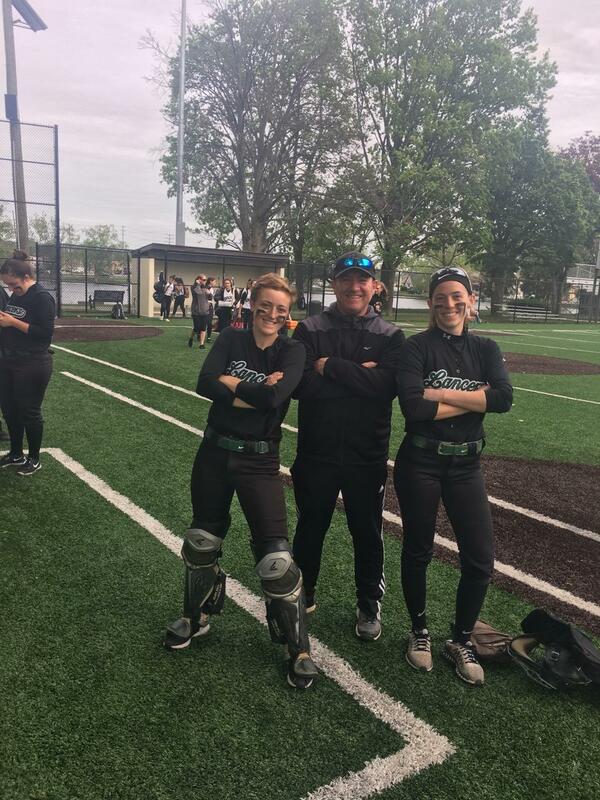 DePaul softball coach Sue Parler has long gone by the theory that winning a county championship is always a new experience, regardless of how many consecutive titles her Spartans have won. So when the final out was recorded in a scintillating 3-2 win by DePaul over Passaic Valley, on May 14, in Little Falls before a large and enthusiastic crowd, Parler wasn’t diverting from her original thought. DePaul won its record seventh straight PCT title and 12th overall, in a game that was scheduled to be played at Back Beach Park, in Wanaque, but was moved to Passaic Valley’s home field, after it was determined Back Beach wasn’t playable on May 14. 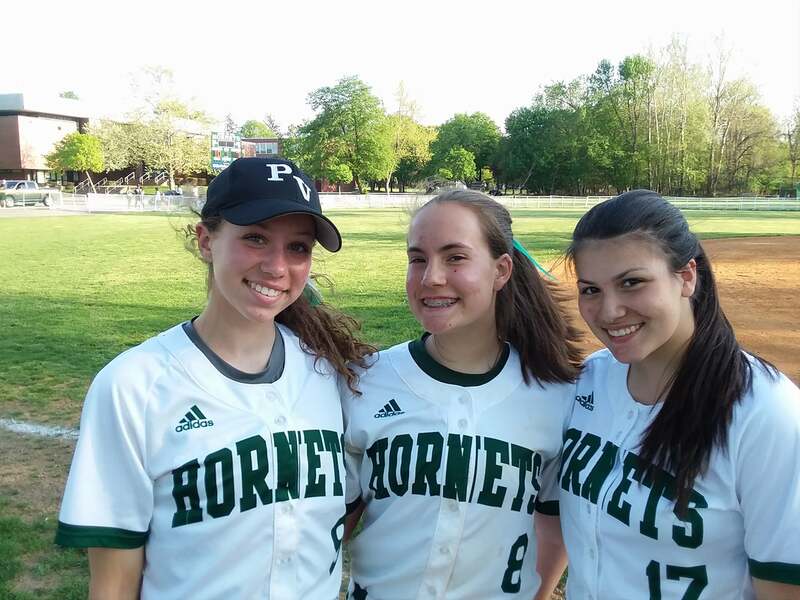 Passaic Valley athletic director Rob Carcich and his staff worked quickly to make sure the Hornets home field could accommodate the game. DePaul (11-11) would need all its championship mettle to pull this game out, as a young and feisty Passaic Valley team, which was seeking its first county championship in 30 years, played well. DePaul took advantage of a few PV errors to score all three of its runs, en route to a 3-0 lead heading into the bottom of the sixth inning. The Spartans scored twice in the top of the fourth when Dominique Coiro hit a ball to right field, which was misplayed and the speedy Coiro ended up at third. After a pop up, Kaitlin Cavanagh laced a clean single to plate Coiro and Cavanagh raced to second on a fielding miscue. Gianna DiPiano later singled Cavanagh home to make it 2-0. Coiro would be the catalyst to DePaul’s third run in the sixth when she singled and went to second when Laila Aponte’s grounder was misplayed, putting runners on first and second. A sacrifice bunt moved the runners to second and third and winning pitcher Summer Ramundo grounded out, scoring Coiro. Ramundo was dominant through the first five innings. She had 10 strikeouts through four, and had yielded just one hit through through five, but in the bottom of the sixth, PV broke through with two runs on three hits, including a two-run single by Shana Donnelly, which cut DePaul’s lead to 3-2. Ramundo worked out of further damage by recording a strikeout and inducing a pop up to end the frame. In the bottom of the seventh, DePaul’s junior second baseman Alexa Juchniewicz made the defensive play of the game, when she dove to grab a hard grounder and threw the runner out by a step for a crucial first out. Jucniewicz’s play was even more noteworthy after PV got the next two runners on base, with singles. Ramundo would retire the final two batters, on a fly to center and a pop to short, to secure the win. For Ramundo, a senior, it was her fourth straight title. (A note: Just a few days after this was written, Anthony and his family were riding in a car, when a young child ran onto a street. Anthony reacted quickly, and with the help of another good Samaritan, made sure the youngster was safe and brought back to the side-walk. Just another example of what a tremendous young man this is). Anthony Gennarelli made quite an impact in his one season playing football at Passaic Valley. A 6’0″, 260 pound fullback, Gennarelli transferred to PV from Passaic Tech and starred for a good Hornets team that finished 6-3 last fall. Now, the senior has made his college decision. 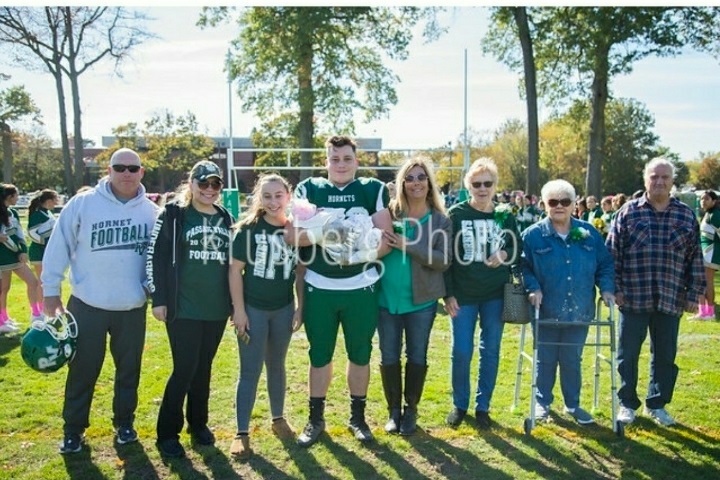 Gennarelli, a resident of Totowa, will attend Montclair State University and play football for the Red Hawks, in 2018. Gennarelli rushed for over 500 yards as a Hornet in 2017. His most impressive run probably came in a home game against Wayne Hills, on Oct. 21. There, he scored on a 52 yard run in the second quarter, running over a number of Patriots en route to the end zone. He was also a standout defensive player, last season. Gennarelli was also 26-for-26 on third and short situations in picking up a valuable first down last season. Gennarelli enjoyed the experience of playing for Parlavecchio. Gennarelli’s long run against Wayne Hills wasn’t forgotten when it came to the Patriots head coach, Wayne Demikoff. Off the field, Gennarelli will pursue a degree in Education and hopes to teach history one day. Gennarelli has an older brother, Steve, and sister, Gianna, as well as a younger sister, Danielle. He is also a proud uncle. As far as preparing for college football, Gennarelli will continue the routine that has made him a successful player thus far. Tom Marretta of Passaic Valley has always handled himself with class. So, when the multi star athlete made his college decision, he announced it in front of family and friends, at the annual Passaic Valley wrestling dinner, in a suit and tie. Marretta will attend The College of New Jersey this fall, where he will wrestle for the Lions. The choice is indeed ideal for the senior, who is a top student in the classroom, with a 3.7 GPA, and the first All-County male athlete, in two sports (football and wrestling) at PV, in eight years. Tom admitted the decision on which sport he’d participate in on the collegiate level was a tough one, but as he got closer to deciding on a school, he knew wrestling was his best option. “I’ve been playing football all my life,” said Marretta. “And I love the sport. I enjoyed playing it in high school. But the more I participated in wrestling, I really enjoyed it. 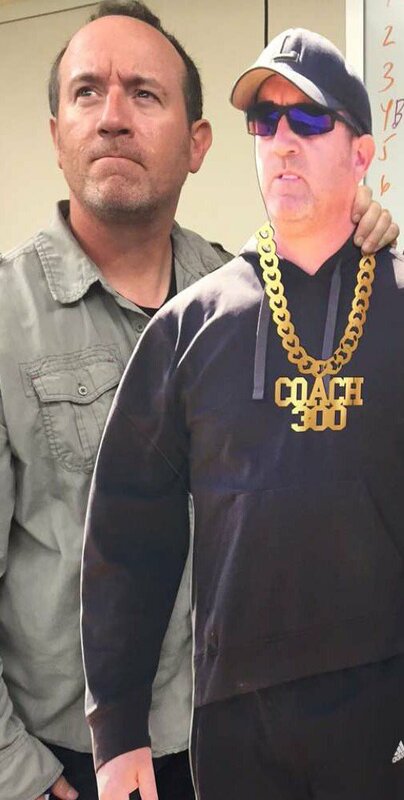 I didn’t start until my freshman year, but (Passaic Valley head coach) Joe Ben (Benvenuti) really prepared me for the next level. Those 6 a.m. weight lifting sessions and the hard work really made me love the sport. Marretta finished seventh in the state at 220 pounds this season and stood on the championship podium at Boardwalk Hall, in Atlantic City, on March 4. Marretta’s discipline on the mat also resulted in his dropping about 30 pounds, after football season, so he could compete at 220 pounds. He did that for two straight years, after qualifying for the state tournament as a heavyweight in 2016. “Tommy’s work ethic speaks for itself,” said Benvenuti. “Think about what it takes to diet properly and maintain, if not increase your strength at a very tough weight class. He never hesitated, either, to make us a better team. That’s why, to see him win his final bout, in Atlantic City, then stand on the championship podium as one of the best wrestlers in the state, is something I’ll never forget. He was an All-County football player and wrestler. People don’t realize how difficult it is to qualify for the states, in Atlantic City, much less medal. In college, the upper weight classes go from 197 pounds to heavyweight. 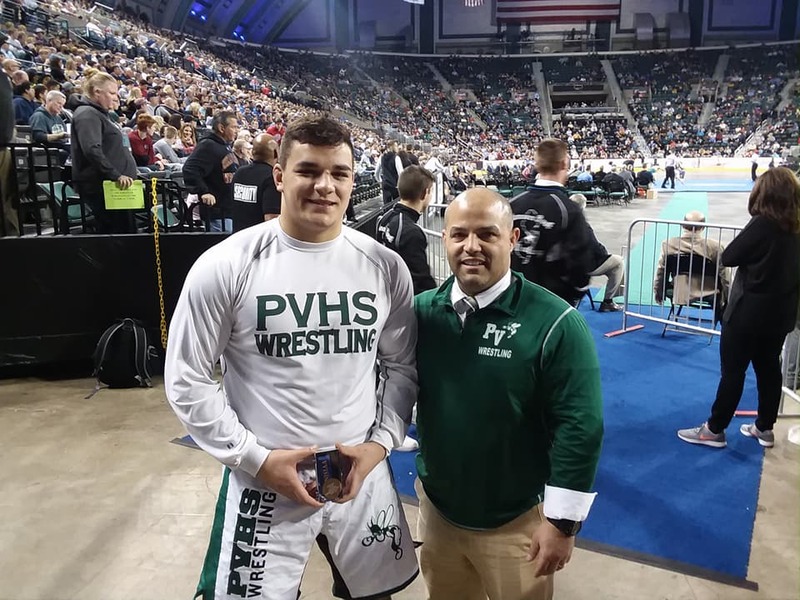 Passaic Valley’s Tom Marretta, here with head coach Joe Benvenuti, after Tom won a state medal at the NJSIAA championships on March 4, 2018. Marretta is excited about the opportunity to learn more about the sport, in college. Tom was accepted into TCNJ’s School of Humanities and Social Sciences. Remaining the class young man that has defined him for many years, Tom, the son of Jennifer and Gaetano Marretta, also thanked the other schools who had reached out to him. While the college choice is finalized, the hard work will continue.